A dream cruise through Japan, South Korea, and China turned into a nightmare for an American couple who were left stranded in Busan (Pusan) after only three days. Holland America Line removed William Coates and his wife from the Westerdam in South Korea and informed them they would need to find their own way home. But all of this could have been avoided by reading the fine print. The Coates were kicked off their cruise for making a simple but significant error in their cruise planning: they didn’t have the necessary visa to enter China. As China is one of the strictest countries when it comes to correct documentation, the couple’s oversight meant they couldn’t cross the border. Confused and embarrassed, the couple were forced to pay an additional $2,400 in return airfare in order to go home. They were also unable to collect refunds for any of the $9,000 they wound up paying for the cruise. While Holland America Line did reimburse the Coates for their unused return airfare as a sign of goodwill, the cruise line is not responsible for any other costs incurred by the mishap. The couple enlisted the help of consumer rights group Elliott Advocacy, but a representative of the group said they were unable to get compensation for them. According to the cruise line, ship staff had tried to arrange emergency visas for the couple while in Pusan, but had been unsuccessful. They had also suggested barring the Coates from leaving the ship while in Chinese waters. The Chinese authorities had refused. Why isn’t Holland America Line taking responsibility? 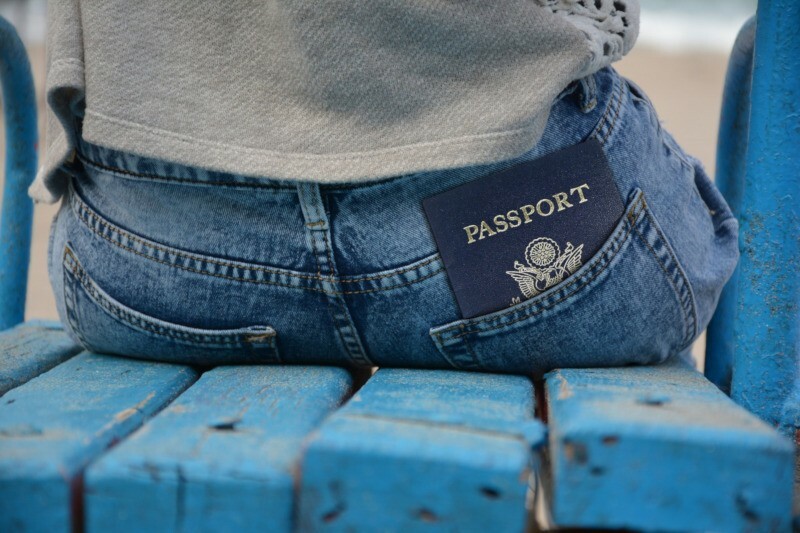 One of the Coates’ misconceptions about their visas was that the cruise line or travel provider is responsible for making passengers aware of the requirements. However, the cruise line has effectively shown its attempts to make travelers aware of the rules for international travel. Clauses in the contract specify that passengers are obligated to ensure they have proper documentation, and destinations requiring visas are indicated on the itinerary. Who is responsible for visas when it comes to a cruise? She also suggested that this unfortunate case should serve as a lesson to all cruisers. In order to avoid situations like this, it’s important to read the cruise contract in its entirety and make sure you understand it. It’s also important to check the visa requirements of each country and port on your itinerary. Finally, be aware of any passport expiry deadlines that may apply. For example, even passengers with the proper visas may be refused entry into China if their passport expires within six months after the intended departure date. You must send or bring your physical passport to a Chinese Embassy or Consulate. We recommend using a visa service to obtain your visa. You must obtain a tourist card from your cruise line or travel provider. You must send or bring your physical passport to an Indian Embassy or Consulate. We recommend using a visa service to obtain your visa. This visa is only available upon arrival. Contact your cruise line for more information. You must send or bring your physical passport to a Russian Embassy or Consulate. We recommend using a visa service to obtain your visa. You must send or bring your physical passport to a Turkish Embassy or Consulate. We recommend using a visa service to obtain your visa.